As a professional Clarinetist, he is enjoying a rewarding career as a Clarinetist, Soloist, Educator, and Conductor. He has extensive experience as a professional Clarinetist in Chamber Orchestras, Symphony Orchestras, Chamber Music, Musical Orchestras, and Wind Bands. Arthur J. Holton III is currently the Director of Bands, and Applied Clarinet Instructor at San Joaquin Delta College in Stockton. He received his B.A. degree from San Jose State University and M.A. degree in Clarinet Performance from California State University Chico. He has been an instructor at San Joaquin Delta College for nine years and is in his fifth year as a Full Time member of the Delta College Faculty. Prior to coming to Delta College Mr. Holton was Director of Bands at Lincoln High School in Stockton for twenty one (21) years. He has a total of thirty three (33) years of experience in music education. 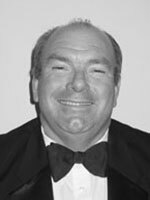 Mr. Holton has been a guest soloist with the Stockton Symphony on several occasions, and has performed clarinet and vocal solos while on tours of Europe, Australia, and New Zealand. He retired as Principal Clarinet for the Stockton Symphony after eighteen (18) years. As a conductor, Mr. Holton has directed musical ensembles, including concert bands, jazz bands, brass bands, and choral ensembles on seven Concert Tours of Europe, Australia, and New Zealand. During his time as a high school music educator his concert bands, jazz bands, and marching bands won well over a thousand awards including over forty Command Performances in concert and jazz festivals. Under his direction the Lincoln High School band performed in the Pasadena Tournament of Roses Parade on three separate occasions.He has served as the President of the San Joaquin County Music Educators Association, President of the Northern California Band Association, President of the California Band Directors Association, and has held many other state wide and local offices. Mr. Holton is listed in Who’s Who Among American Music Teachers and was one of the founders and current conductor of the Stockton Concert Band. He has served as a guest conductor for honor bands throughout Northern California. He is a widely sought after clinician, adjudicator, professional Clarinetist, and Clarinet Soloist. Mr. Holton has also received the John Philip Sousa Foundations, Legion of Honor Award at the Mid Western Band Clinic in Chicago.